Ashgabat, 6 June 2017 (nCa) — It is ruthlessly impartial. When treated with respect and responsibility, it rewards you handsomely. Neglected and abused, it punishes you vehemently. It doesn’t recognize political boundaries. It has the power to decide whether this planet will remain able to sustain human life. —– It is ENVIRONMENT. It is a CAREC-led event with very solid support from UNDP, EU, UNEP, GIZ, OSCE, World Bank Group, USAID, and a number of countries and organizations. CAREC – The Regional Environmental Centre for Central Asia – is an independent, non-profit, non-political, international organisation assisting the Central Asian governments, regional and international stakeholders in addressing environmental and sustainability challenges across Central Asia. It was created as a cooperation platform for sustainable development. The organization was vested with the authority to develop and implement the Central Asian Initiative (CAI) on Sustainable Development. The EU and other international organizations supported the Centre’s evolution as a regional platform for environmental cooperation. Though direct funding for CAREC ceased in 2009, it is successfully continuing its activities, adapting to new financial environment through participating in competitive bidding processes through its 5 thematic programs. Over the last 15 years, the Centre has built its human, technical, and institutional capacity and became a truly independent and recognized environmental organization. The forum started on 5 June 2017 with participation of the delegations from the five Central Asian countries, international and regional organizations, environmental leaders and leading experts. The aim of the forum is to strengthening a comprehensive dialogue on environmental issues between government agencies, international community, academia and business structures in Central Asia to consolidate joint efforts and form a common vision for sustainable development of the region. 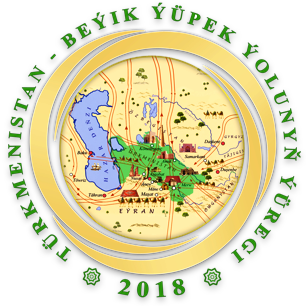 The forum was opened by the congratulatory speech of the President of Turkmenistan, read by the Deputy Chairman of the Cabinet of Ministers of Turkmenistan, Mr. Esenmyrat Orazgeldyew. In his speech, Mr. Berdimuhamedow congratulated the participants of the forum and the employees of the environmental sector on World Environment Day, noting that the preservation of harmonious coexistence with nature, respect for the environment are part of both the ancient Turkmen traditions and the modern environmental policy of the country. Examples of this policy were further shared by Mr. Batyrmurad Orazmuradov, Chairman of the State Committee for Environmental Protection and Land Resources of Turkmenistan: comprehensive work on the creation of forest zones, prevention of salinization of lands, combating desertification, ensuring environmental safety, Turkmenistan’s participation in a number of international environmental agreements. 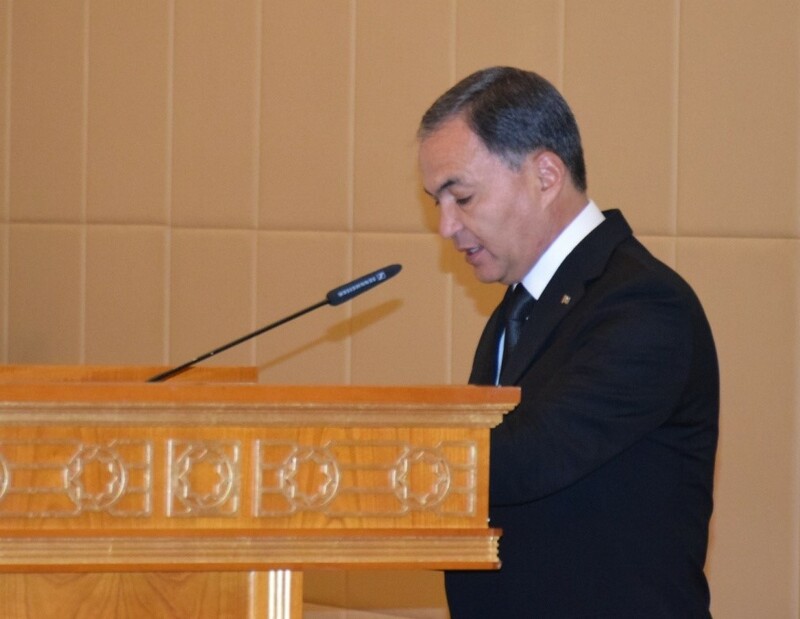 Further, the Heads of delegations of Central Asia and the Executive Director of CAREC, Dr. Iskandar Abdullaev addressed the participants of the forum with welcoming speeches. Dr. Abdullaev noted that in its activities CAREC has consistently followed the principles of strengthening and developing regional cooperation and is promoting the initiatives opening up new dialogue opportunities for people of the ministerial level to continue cooperation and exchange of opinions, ideas, and best practices. 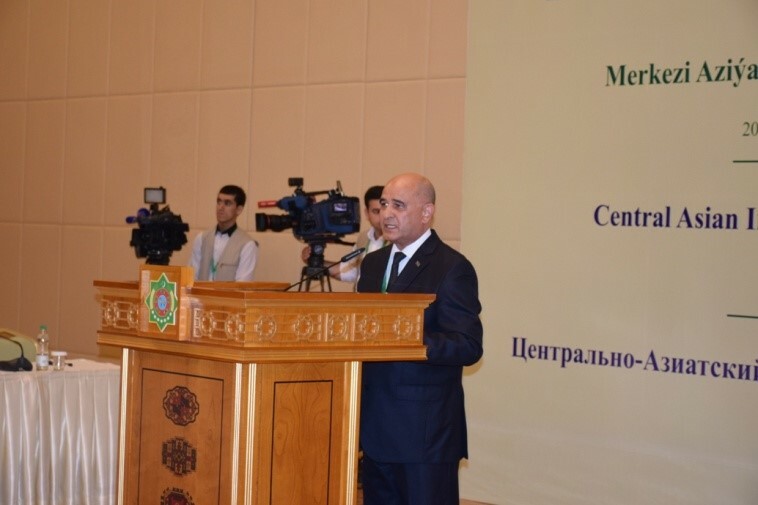 “The issues raised at the Central Asian International Environmental Forum are equally relevant and strategically important for the Central Asian region: climate change and water cooperation in the context of sustainable development in Central Asia – areas in which countries should unite in the way of regional cooperation and adequate response to environmental challenges of our time,” concluded Dr. Abdullaev. A unique feature of the flawlessly organized Forum is that the key speakers were given some questions beforehand and their answers will help shape the outcome of the event though not all the speakers used this format. How can your organization strengthen cooperation in climate change and water resources management in Central Asia? The United Nations Environment Programme (UNEP) is the leading global environmental authority that sets the global environmental agenda, promotes the coherent implementation of the environmental dimension of sustainable development within the United Nations system and serves as an authoritative advocate for the global environment. Its Climate Change sub-programme focuses on helping countries to pursue low-emission development pathways and strengthen their adaptation and resilience capacities to the changing climate. In doing so we help countries achieve the 2030 Agenda for Sustainable Development, particularly Goal 7 – Affordable and Clean Energy, and Goal 13 – Climate Action. We work in Central Asia since early 2000 and see the need in deeper environmental cooperation due to severe global and regional challenges, including climate change, where countries are not able to coop with everything on their own. Our long-term partner, ICSD, provides the platform for coordination and cooperation purposes and therefore we believe existing instruments and mechanisms should be used in more effective way to address climate change and also look wider at SDGs agenda. From our side we support both regular environmental processes and also projects on different levels in the region, and we see our role in providing technical assistance and political support to both, as well as sharing global knowledge and integrating the region into the global environmental agenda. 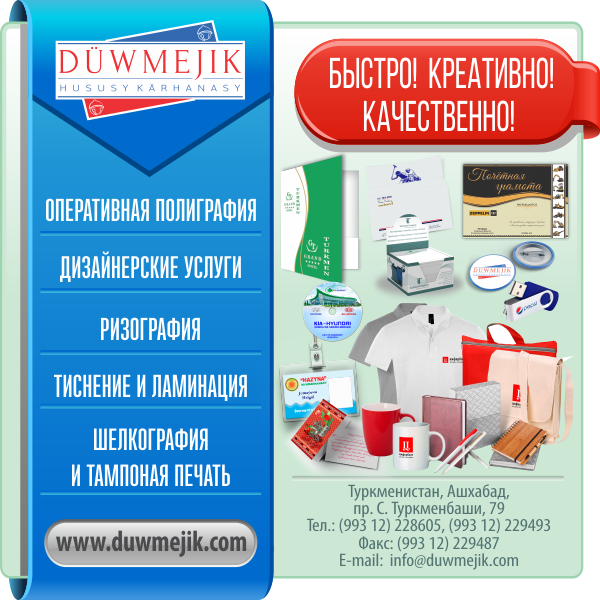 What initiatives and projects of your organization are planned to be realized to intensify cooperation in Central Asia? We have several running projects, including the one on Climate change Adaptation in Mountain Regions (where we’re going to present the results during side-event and discuss the way forward), and we’re looking also at new initiatives and projects to be supported/implemented including also with the Green Climate Fund to address climate change issues. In terms of processes, we see the need to unite around the new Regional Environmental Action Plan (or similar document if the new name to be chosen) which would help to define and set the regional climate change agenda (among also other priorities) as well as focus on the concrete interventions. Another important element is the ratification and entry into the force of the Ashgabad Convention paving the way for improved regional coordination and cooperation in environmental matters. UNRCCA is a special political mission of the United Nations headed by a Special Representative of the UN Secretary-General. The SRSG uses his good offices at the high political level to mobilize the political will of riparian states for reaching mutually acceptable solutions in water/energy nexus. On the other hand, UNRCCA as an impartial platform for regional dialogue uses its convening power to bring the CA countries together for negotiations on trans-boundary water management. UNRCCA supports the countries of the Aral Sea Basin in modernizing the regional legal framework for the management of trans-boundary water resources. The Centre prepared and submitted for the consideration of the CA governments the drafts of the Conventions for the use of water resources of the Amudarya and Syrdarys River Basins. The draft conventions aim at the establishment of two basin-based mutually agreed upon frameworks for the conservation and management of shared water and related resources that reflect the unique history and special arid nature of Central Asia. The documents apply to the special characteristics of Central Asia the principles expressed in existing international agreements and include a compulsory dispute resolution mechanism that will ensure that disputes are resolved fairly and expeditiously. UNRCCA, in cooperation with the Scientific and Information Centre of the Interstate Coordination Water Commission, provides support to CA countries in establishing a mechanism of early warning of potential conflict situations on trans-boundary rivers. 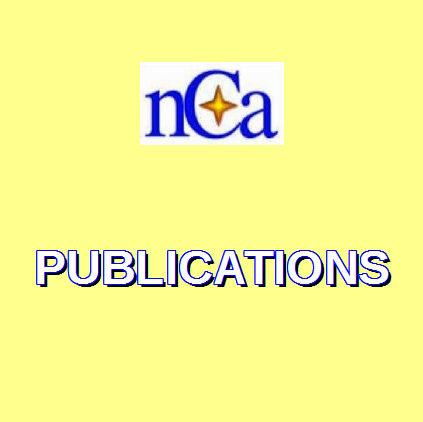 Quarterly Early Warning Bulletins are being prepared and distributed to CA Governments. In cooperation with UNESCO, the Centre supports monitoring, knowledge and information sharing on glacier melting by conducting international seminars and research. UNRCCA implements a training program in water diplomacy “Ensuring Equitable Management of Transboundary Watercourses in Central Asia through International Diplomacy, Law and Institutions: Theory and Practical Solutions”. The objective of the program is to introduce the participants to the concepts and specific legal and jurisdictional factors determining access to sharing of and sustainable exploitation of water resources of transboundary river basins. The training events also provide opportunities for networking and bilateral meetings on the margins. UNRCCA provides support to EC IFAS in the elaboration of a regional water strategy. Q1. How can your organization strengthen cooperation in climate change and water resources management in Central Asia? In Central Asia, climate change is a significant threat; glaciers have lost one-third of their volume, while the low lying areas face increasing drought and flooding. Looking forward climate change will intensify, impacting growth potential in the region with rural poor in the front line as they depend on subsistence agriculture and pastoralism will be particularly affected. At the same time, Water is a strategic resource for people, livelihoods, agriculture, energy and industrial production in Central Asia. Unless managed better, water may become one of the most important constraints to sustainable growth and livelihoods in the Region in the long run, especially considering the intricate link to climate change stresses the region is subject to. Modernizing the existing national and regional basis to improving water productivity will be key to achieve greater resilience to climate variability. As a holistic area of action, Climate Change has to be tackled in an integrated way. On our end, it means creating programs and working along and across various sectors to cover the spectrum of challenges to achieve climate resilience. 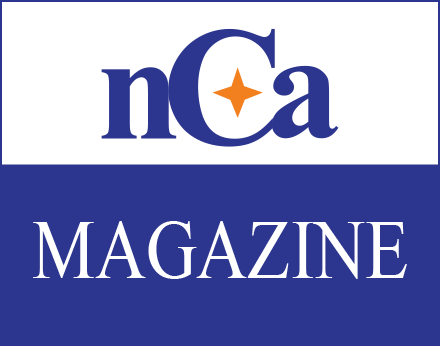 – the CASA-1000 project, improving the regional energy connectivity within and beyond Central Asia. – a multi-donor Trust Fund Central Asia Energy and Water Development Program (CAEWDP) , providing grant funding to support improvements in water and energy development and security, strengthen national and regional institutions and facilitate regional dialogue and helping to realize the benefits of regional cooperation to advance sustainable development and climate resilience. – A TA activity on Strengthening Early Warning of Mountain Hazards in Central Asia developing technical and institutional capacities for preparedness to extreme events. Q2. What initiatives and projects of your organization are planned to be realized to intensify cooperation in Central Asia? The Climate Adaptation and Mitigation Program for Aral Sea Basin seeks to better prepare Central Asian countries for the common and shared challenges of climate change in the region. 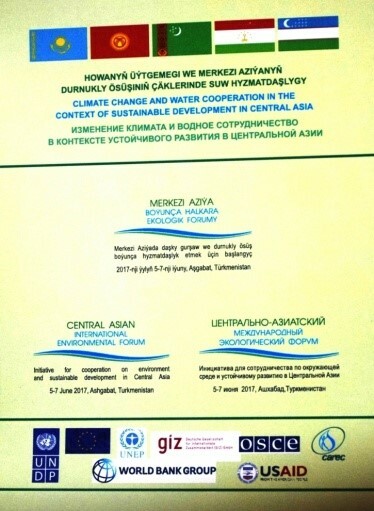 During the Second Central Asia Climate Knowledge Forum, held in Almaty, Kazakhstan in May 2014, all five Central Asian countries called for such a regional program, acknowledging that the benefits from a coordinated and integrated response to climate change would be greater than unilateral action. While the Program lays the foundation for an institutional platform for regional cooperation on climate change, providing stakeholders with improved data, knowledge, and tools for climate assessment and decision making – the first such platform in Central Asia, it also provides for climate investments to improve rural livelihoods and productivity and safeguard key economic sectors facing climate change risks. With this support, the Program’s benefits will include: (i) stronger knowledge and information base on climate change for a broad cross section of stakeholders (e.g., government agencies overseeing climate-sensitive sectors, academia, civil society) in all Central Asian countries; (ii) faster learning through experience-sharing for replication and scaling-up of successful climate innovations across countries; and (iii) greater confidence for collaboration among countries and development partners, including to attract additional resources for climate action. The Program is designed to be implemented in phases as a series of projects, and the initial project in the series is a first step in ensuring wider collaboration among Central Asian countries and the development community, allowing CAMP4ASB’s impact to multiply. Phase 2 is ending on December 31 2017. A third phase is currently under discussion with the donors. On regional aspects, reflecting on national building blocks, the CAEWDP will continue its support to nurture the inter-state dialogue through existing institutional framework (i.e. IFAS, and support to develop the Central Asia Water Strategy) as well as further identifying opportunities to convene countries on water and energy security issues. This has an objective to improve the accuracy and timeliness of hydromet services in Central Asia, with particular focus on Kyrgyz Republic and Republic of Tajikistan, helping them to become the service entity in providing weather, water and climate information services which are at the center of development agenda for Central Asia. The Project also plays an important role in setting up a platform for better collaboration, information sharing and capacity building among the four Central Asia National Hydromet Services (CA NHMSs). Excellencies, Ladies and Gentleman! On behalf of the Executive Secretary of the United Nations Economic Commission for Europe, I thank you for inviting us to this important meeting. As in the past, it is our pleasure and honour to be with you. ECE through its projects and programmes supports the efforts of the countries to pave the way to sustainable development for the benefit of people in Central Asia. Despite a lot of efforts undertaken by national governments, development organizations and the UN family, there are still a lot of challenges to environmental sustainability in Central Asia that need to be addressed today and in future. These challenges continue to pose serious problems for the countries to achieve sustainable development. Yet, the pervasive phenomenon of climate change makes these challenges even harder to address. UNECE is addressing climate change on several fronts. Thus, under the Convention on the Protection and Use of Transboundary Watercourses and International Lakes (Water Convention) we provide important legal and institutional framework for transboundary water management and climate change adaptation. In the region ECE supports Kazakhstan and Kyrgyzstan to establish a framework for regular and strategic climate change adaptation action in the Chu-Talas River Basin and enable the Chu-Talas Commission and local authorities to facilitate climate change adaptation in the basin. The Protocol on Strategic Environmental Assessment under the Espoo Convention facilitates governments integrating climate change considerations into legislation and development programmes. The project on Regional Dialogue and Cooperation on Water Resources Management in Central Asia is aimed to empower the countries of Central Asia to develop and implement mutually acceptable, long-term solutions to improve cooperation on transboundary water resources. UNECE in cooperation with CAREC supports the efforts of countries to improve water quality by establishing common principles for measurement, exchange of information and joint assessment on shared water resources. The countries of Central Asia share a number of unique challenges in their efforts to achieve sustainable development. These include landlocked geography with very long distances to the nearest seaports, dramatic environmental problems caused by the tragedy of the Aral Sea, increasing strain on shared water resources, continuing desertification, rapid melting of glaciers and unusual weather patterns caused by climate change. Many of these challenges can be effectively addressed only through strengthened regional cooperation. First, countries of the region will be able to effectively address these challenges, once new approaches are utilized and UNECE is ready to offer some of its mechanisms. At the Eighth Environment for Europe Ministerial Conference that took place in Batumi, Georgia, from 8 to 10 June 2016 ministers, among others, endorsed the Pan-European Strategic Framework on Greening the Economy and its Batumi Initiative on Green Economy (BIG-E) and the Batumi Action on Cleaner Air (BACA). The overall objective of the Strategic Framework is to help countries in the development and implementation of their policies, strategies and plans for greening the economy and achieving sustainable development. Second, an excellent way to enhance cooperation over shared environmental commodities and address transboundary environmental threats, to improve environmental governance in Central Asia, to increase trust among states, and to have better institutions and skilled experts is to make use of the existing environmental legal instruments. Engaging even more in the implementation of the ECE MEAs will lead to improved transboundary and regional cooperation on shared waters, better access to sanitation and higher quality of life, better air quality and less diseases, less stress on human and environment from industrial accidents, a harmony between economic development, energy production through strategic environmental assessments, and last but not least social advancement through better informed citizens and public participation. And finally, the intersectoral, so-called Nexus approach to managing water, energy, food and ecosystems has a significant potential for sustainable development in Central Asia. Recognizing the challenges, relating with climate change, population growth and urbanization, UNECE promotes multi-stakeholder dialogues within the Task Force on the Water-Food-Energy-Ecosystems Nexus toward interlinked resource management to enhance water, energy and food security by increasing efficiency, reducing trade-offs, building synergies and improving governance across sectors. We invite countries to promote the implementation and ratification of MEAs in Central Asia. We from our side will do all necessary to follow-up at national and regional level to build capacity and strengthen institutions in order to achieve higher resilience and lower vulnerability toward unwanted impacts. The UNECE apart from facilitating multilateral policy debates and negotiations under its MEAs also provides advisory services and capacity-building training sessions on different aspects related to the substance of the treaties using its in-house expertise supported by international experts. It does so to support the efforts of Parties or countries wishing to accede to the agreements in complying with the more challenging provisions and addressing existing and emerging challenges. Your Excellency Mr. Chairman, Ambassadors, Ladies and Gentlemen: It is a great honor for me to represent United Nations Development Programme at this very important Central Asian Environmental Forum. It is symbolic that the forum starts on the 5th of June, World Environment Day. I take this wonderful opportunity to congratulate all of us on this remarkable day. Ashgabat is increasingly becoming a platform for many events of regional importance and I would like to specifically greet our esteemed ministers and senior officials from the Central Asian governments at this important event. Let me also specifically highlight the current chairmanship of Turkmenistan at the International Fund to Save the Aral Sea (IFAS) and Interstate Committee for Sustainable Development (ICSD). The theme for 2017 World Environment Day is ‘Connecting People to Nature – in the city and on the land, from the poles to the equator’. It is very true that in our era of swift technological progress, we are getting more and more detached from nature and lose opportunities to cherish and enjoy its values and resources. It is important to understand that nature has an economic value. Two years ago, we made an economic valuation of the ecosystems in Turkmenistan, which revealed that the ecosystems are worth of over hundreds of millions of US dollars. Thus damaging our ecosystems leads to economic losses. Our economies continue to substantially exploit natural resources. We cannot stop consuming, but we can change the way we consume resources, including water. United Nations World Water Development Report, launched in March this year highlights that wastewater stands out as a priority issue. Globally, over 80% of the wastewater generated by society flows back into the ecosystem without being treated or re-used. Agriculture and land use practices currently consume most of water at the global level, accounting for 70% of total withdrawal. All Central Asian countries possess rich natural resources and rely their growth mainly on energy, water and land. The latter are interlinked and many synergies and trade-offs between water, land and energy use exist. Taking water to irrigate crops might stimulate food production but it means less water in river flows and for hydropower potential. Moving from traditional irrigation to efficient irrigation technologies and practices may save water but can also provoke higher energy use. Only through understanding these synergies and balancing these trade-offs, we will be able to find solutions to jointly ensuring rational and effective use of water, land and energy. The challenges regarding water, land and energy are so far being addressed in isolation, within sectoral boundaries. A nexus approach to sectoral management, through enhanced dialogue, collaboration and coordination is needed to ensure that co-benefits and trade-offs are considered and that appropriate safeguards are put in place. This is very much in line with the Paris Agreement, which Turkmenistan ratified amongst the first countries in the region, and also with the 2030 Agenda, more specifically with SDG 6 on water, SDG 7 on energy, SDG 15 on land and ecosystems and SDG 12 on sustainable consumption and production. I am pleased to state that here in Turkmenistan we have an on-going large UNDP- Government of Turkmenistan joint programme promoting this nexus approach to achieve both energy and water efficiency and using science to find most optimal solutions. We explore not only the most efficient irrigation practices but also research the way irrigation and crops interact. The Programme assesses energy consumption in water sector with the aim to increase the efficiency of water pump operation by coming with new and more rigorous standards for fuel/energy consumption and water production. Besides, UNDP also explores ways of utilizing renewable energy for small-scale agricultural, farming and household needs. In addition, UNDP works closely with the Government of Turkmenistan in climate change and water issues, both at the national and regional level. Our cooperation also covers collaboration within the International Fund to Save the Aral Sea (IFAS) and Interstate Committee for Sustainable Development (ICSD), which are currently under Turkmenistan’s chairmanship. Furthermore, UNDP and Government are having a dialogue on establishing a regional climate technology centre in Ashgabat. With its climate change and water portfolio worth nearly $40 million, UNDP is one of the most active development organisations in the region. I can see many international and bilateral partners today with whom we collaborate in the region. In Kazakhstan, UNDP is helping the national government to move towards the green economy by introducing water saving technologies and collaborating on building community resilience to climate change and flood risk management. In Kyrgyzstan, UNDP works on improving access to sanitation and hygiene services. In Tajikistan, UNDP and Government partner around various water and energy issues, focusing on technology transfer for small hydropower, Integrated Water Resource Management (IWRM)-based water sector reform implementation, and water supply and sanitation. Here in Turkmenistan, our joint programmes promote capacitating the communities in managing their water resources and supporting climate resilient livelihoods. In Uzbekistan, our work is around sustainable management of water resources. At regional level, UNDP promotes transboundary cooperation and Integrated Water Resource Management (IWRM) in Chu Talas Basin. We have great plans and we work hard to turn them into programmes that will promote a nexus approach to managing energy, water and land in the context of the changing climate, which is an overarching framework for all of actions no matter what we deal with: water, land or energy. A constant dialogue is underway with international partners about building synergies to maximizing the effect of our support to national governments in implementing Paris Agreement and Sustainable Development Goals. I will stop here as there will be further opportunities during the Forum for UNDP colleagues from Country Offices and Istanbul Regional Hub to share in more detail experiences and ideas for cooperation. Thank you for your attention and wish you a very productive forum. Уважаемые Дамы и Господа, Стремясь внести активный вклад в сохранение мира и безопасности во всем мире, Туркменистан предоставляет платформу, и зачастую инициирует организацию, различных международных форумов и конференций в рамках глобальных проектов в области внешней политики. Среди них, несомненно актуальным и бесспорно значимым в региональном масштабе является начинающийся сегодня Центрально-Азиатский Экологический форум “Изменение климата и водное сотрудничество в контексте устойчивого развития в Центральной Азии”, проводимый при сотрудничестве Государственного комитета по охране окружающей среды и земельным ресурсам Туркменистана и Регионального экологического центра Центральной Азии, а также при технической поддержке других международных организаций, включая Центр ОБСЕ в Ашхабаде. Пользуясь случаем, мне бы хотелось выразить благодарность принимающей стороне – Правительству Туркменистана, и всем организаторам форума за данный вклад в укрепление диалога по продвижению сотрудничества по окружающей среде и устойчивому развитию в Центральной Азии между правительственными учреждениями, международным сообществом, научными кругами, гражданским обществом и бизнес-структурами. Являясь крупнейшей региональной организацией, в состав которой входят 57 государств Европы, Центральной Азии и Северной Америки, Организация по безопасности и сотрудничеству в Европе (ОБСЕ), в рамках своего мандата, охватывает широкий круг вопросов в рамках военно-политического, экономико-экологического и человеческого измерений, при этом все решения в ОБСЕ принимаются на основе консенсуса, где государства-участники имеют одинаковый статус. Такой многоплановый подход к работе, а также согласованные и скоординированные действия государств-участников способствуют достижению всеохватной долгосрочной человеческой, экономической и экологической безопасности. Работая в партнерстве с международными организациями, национальными правительствами и гражданским обществом, ОБСЕ решает вопросы экологии и безопасности по различным направлениям. В экологической сфере, среди прочего, Организация поддерживает проекты по обеспечению устойчивого управления природными ресурсами, в частности водными, внутри страны и между странами, а также решению проблем изменения климата, включая митигацию рисков возникновения катастроф и снижение их разрушительных последствий. Работа ОБСЕ направлена также на повышение информированности в вопросах экологии, стимулирование участия общественности в принятии решений, касающихся окружающей среды, и на облегчение доступа к правосудию по вопросам охраны окружающей среды, в частности с помощью Орхусских центров. Осуществляемая при содействии ОБСЕ деятельность направлена на обеспечение устойчивого развития и надлежащего управления окружающей средой в регионе ОБСЕ и за его пределами. Бюро Координатора экономической и экологической деятельности ОБСЕ осуществляет проекты в тесном сотрудничестве с полевыми операциями ОБСЕ, включая Центр ОБСЕ в Ашхабаде; организует ежегодный Экономико-экологический форум; и проводит ежегодное совещание по вопросам выполнения с целью оценки прогресса в выполнении государствами – участниками ОБСЕ взятыми на себя обязательств в экономико-экологической сфере и определения приоритетов для дальнейшей работы. С 2003 года ОБСЕ тесно кооперирует с другими международными организациями в рамках инициативы “Окружающая среда и безопасность” (ENVSEC), которая служит концептуальной основой для сотрудничества по вопросам экологии и безопасности как внутри, так и за пределами стран. В рамках этой инициативы ОБСЕ работает над обеспечением мира и стабильности на основе сотрудничества в области охраны окружающей среды и устойчивого развития в Юго-Восточной Европе, Восточной Европе, на Южном Кавказе и в Центральной Азии. Хотелось бы также отметить Афганистан в качестве одного из партнеров по сотрудничеству ОБСЕ в экологической области. Региональная деятельность ОБСЕ в области обеспечения экологической безопасности осуществляется в соответствии с такими глобальными международными документами, как Повестка дня в области устойчивого развития на период до 2030 года Генеральной Ассамблеи ООН, Парижское соглашение в рамках Рамочной конвенции ООН об изменении климата, а также Синайская рамочная программа по снижению риска бедствий на 2015–2030 гг. и пр. Говоря о текущей деятельности ОБСЕ в сфере экологической безопасности в центрально-азиатском регионе, которая включает в себя вопросы управления водными ресурсами, выработки мер по снижению воздействия природных катастроф, а также управление опасными бытовыми отходами, хотелось бы выделить несколько актуальных проектов. В первую очередь, позвольте остановиться на совместной инициативе, осуществленной партнерами по сотрудничеству в рамках ENVSEC (Инициативы «Окружающая среда и безопасность»), по проведению оценки взаимосвязей воздействия изменения климата и вопросов безопасности в Восточной Европе, Центральной Азии и Южном Кавказе. Результатом оценки стал ценный информационный продукт, включающий в себя данные по опасным, с точки зрения их географического положения, точкам; данная информация необходима для разработки адекватных адаптационных мер на национальном и трансграничном уровнях. Вода является стратегически важным ресурсом, ключевым образом влияющим на безопасность и экономическое развитие. Даже те части планеты, где в настоящее время не наблюдается недостатка воды, в ближайшее время столкнутся с проблемой затрудненного доступа к водным ресурсам. Поэтому концепция безопасности ОБСЕ тесно связана с безопасностью водных ресурсов и доступа к воде. Продвигая инициативы по надлежащему управлению водными ресурсами и трансграничному сотрудничеству в данной сфере в Центральной Азии, ОБСЕ придерживается сбалансированного гендерного подхода, а именно приветствует профессиональное развитие и укрепление полномочий женщин, занятых в сфере водного хозяйства на всех уровнях управления. Одним из ключевых направлений деятельности ОБСЕ в сфере экологической безопасности является продвижение принципов надлежащего экологического управления. В качестве одной из наиболее значимых инициатив в данной области можно выделить поддержку функционирования Орхусских центров, которые, в свою очередь, способствуют вовлечению государственных структур, общественности и частного сектора в диалог по вопросам защиты окружающей среды, поддерживают свободный доступ к экологической информации, а также участие общественности в процессе принятия решений по экологическим вопросам. В настоящее время в Центральной Азии функционируют 25 Орхусских центров, включая 15 – в Казахстане, 7 – в Таджикистане, 2 – в Кыргызстане и 1 – в Туркменистане. Центр ОБСЕ в Ашхабаде, помимо деятельности, осуществляемой в рамках проекта «содействие реализации Орхусской конвенции в Туркменистане», планирует расширить свою активность по продвижению принципов надлежащего экологического управления посредством внесения инициативы по открытию Научного центра по устойчивому развитию при одном из ВУЗов страны. Как планируется, Центр будет служить платформой для взаимодействия и обмена информацией в области надлежащего управления природными ресурсами, включая водные и энергетические, а также по другим смежным вопросам – между научными кругами, студенчеством, государственными служащими и другими заинтересованными сторонами в Туркменистане и за рубежом. В заключение еще раз хотелось бы отметить с особой благодарностью заинтересованность Правительства Туркменистана в содействии налаживанию регионального диалога с участием всех заинтересованных сторон по вопросам обеспечения устойчивого развития и безопасности окружающей среды, что является предпосылкой для снижения экономических и экологических рисков и обеспечения экономической и социальной стабильности и процветания всех государств мира и их граждан. В заключение разрешите заверить, что Центр ОБСЕ в Ашхабаде примет активное участие в работе Форума и, в рамках мандата Организации, будет руководствоваться его заключительными решениями при разработке планов последующей деятельности в области охраны окружающей среды и обеспечения экологической и экономической безопасности. Как Ваша организация может укрепить сотрудничество в области изменения климата и управления водными ресурсами в Центральной Азии? РЭЦЦА активно ведет работу по сотрудничеству в области ИК и УВР на протяжении 15 лет своей работы в регионе. Основными подходами, которые оказались эффективными в работе, являются: (1) конкретные проекты, направленные на создание институциональных и технических решений по всем тематическим направлениям, (2) поддержание диалога и сотрудничества через региональные платформы сотрудничества и (3) укрепление экспертного (человеческого) потенциала по вопросам воды и климата в контексте устойчивого развития. На сегодня РЭЦЦА выполнил ряд проектов на общую сумму более 50 миллионов долларов в странах ЦА. Организация осуществляет свою деятельность по пяти программам в следующих направлениях: климат- энергоэффективность, окружающая среда, водное сотрудничество, образование для УР, окружающая среда и здоровье. РЭЦЦА продвигает системный и программный подход к решению вопросов ИК и УВР, все выполненные, действующие и перспективные проекты продвигают процесс сотрудничества. РЭЦЦА создал и является координатором платформ сотрудничества, таких как платформа сотрудничества региональных организаций, представителей МИД и Парламентов стран ЦА. Кроме этого, каждая программа РЭЦЦА имеет Координационные Группы Проектов, включающие в себя представителей стран ЦА и Доноров. Совет Управляющих и Общественно-Консультативный Совет РЭЦЦА являются также платформами сотрудничества. РЭЦЦА участвует и представляет интересы региона на многих международных площадках, связывая глобальные процессы с региональным сотрудничеством. РЭЦЦА стремится привнести лучшие практики, знания и финансовые возможности, существующие на международном уровне в регион ЦА. Также, РЭЦЦА инициирует и выступает в качестве фасилитатора по обсуждению глобальных процессов со странами ЦА на региональном уровне. Примером являются процесс подготовки стран Центральной Азии к подписанию Парижского соглашения на уровне региона, работа с международными и национальными партнерами по подготовке к Батумской встрече по процессу «Окружающая Среда для Европы», а также ряд мероприятий по ЦУР. РЭЦЦА, наряду с другими партнерами также поддерживает региональные программы и процессы, такие как поддержка, усиление и координация региональных организаций, обновление региональных планов действий. Через такие региональные встречи РЭЦЦА поддерживает своих региональных партнеров в координации, сотрудничестве и усилении их роли. Какие инициативы и проекты Ваша организация планирует реализовать для активизации сотрудничества в Центральной Азии? РЭЦЦА продолжит свою проектную деятельность по 5-ти программным направлениям. Ожидается, что привлеченные средства увеличатся примерно на 30 миллионов долларов. Новые проектные направления, на которых РЭЦЦА планирует фокусироваться в ближайшем будущем: (1) влияние окружающей среды на здоровье человека, (2) усиление роли образования в процессах сотрудничества по вопросам ИК и УВР, (3) эффективное внедрение, продвижение и реализация принципов «зеленой экономики» и «зеленого роста» в Центральной Азии, (4) водное сотрудничество, (5) ИК и энергоэффективность и другие. РЭЦЦА, совместно с партнерами продвигает процесс «Окружающая Среда для Центральной Азии». Этот процесс включает в себя все элементы сотрудничества по вопросам ООС и УР в Центральной Азии. Основной целью данного процесса является привнесение системности и улучшение координации всех усилий на региональном уровне по вопросам ООС и УР. Главными движущими силами данного процесса должны стать страны ЦА, при поддержке со стороны региональных и международных партнеров. Данный процесс станет примерно такой же площадкой, какой является процесс «Окружающая Среда для Европы». При этом, Ежегодные Экологические Форумы могут стать успешными площадками для обсуждения процесса «Окружающая Среда для Центральной Азии» и отслеживания прогресса по ключевым стратегическим направлениям.